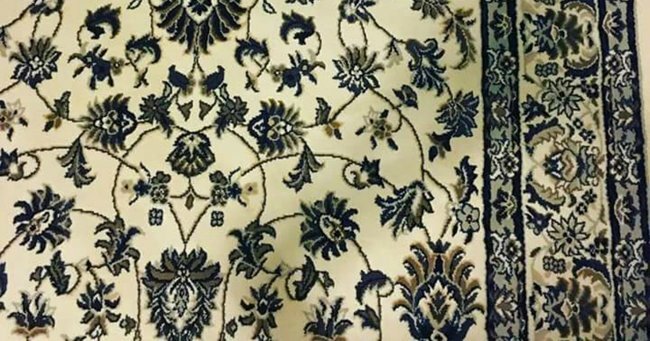 Viral optical illusion features phone hidden on rug. The photo that is driving the entire Internet absolutely insane. Well don’t look now, but there’s another one of those stress-inducing optical illusions doing the rounds on social media at the moment, once again shaming those of us who seem to lack keen observational skills. This time, the thing is a mobile phone, and it’s concealed somewhere in a room featuring a heavily patterned rug. Posted by a Phillipino-based Facebook user named Jeya May Cruz roughly one week ago, the head-scratching snap has since been liked more than 139,000 people and been shared at least 18,000 times. Image via Facebook: Jeya May Cruz. Okay here&apos;s a hint: it&apos;s in the top half of the picture. Another hint: it&apos;s near the table. Yet another hint: the right-hand side of the table. And a fourth hint: it&apos;s lying face down. Okay fine, we&apos;ll ruin it for you.